What Did the 26th ASEAN Summit Achieve? A look at what the regional grouping accomplished after the recent summit in Malaysia. With the conclusion of the 26th ASEAN Summit chaired by Malaysia, what did this series of meetings achieve? 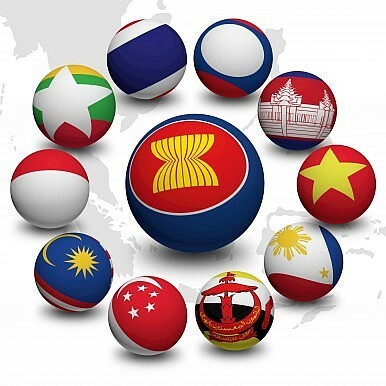 When evaluating ASEAN summits, it is useful to consider not only measures actually adopted – whether in the form of documents, housekeeping items, or proposals being forwarded on to other bodies – but also established ideas put off until future meetings and newer ones tabled for discussion in order to get the full picture. Since the ten-member grouping operates by consensus and rotating chairmanships, there are usually different speeds at which it moves depending on the issue in question and the extent of agreement or disagreement therein. Aside from the chairman’s statement usually adopted – with the obvious exception of Cambodia in 2012 – a few other documents were adopted at the 26th ASEAN Summit. One was the Langkawi Declaration on the Global Movement of Moderates, an initiative championed by Malaysia over the past few years to promote moderation as a tool for bridging differences. The Declaration was viewed as one of ASEAN’s contributions to global peace and security. Another was the Declaration on Institutionalizing the Resilience of ASEAN and its Communities and People to Disasters and Climate Change. This builds on the ASEAN Joint Statement on Climate Change 2014 adopted at least year’s summit in Myanmar. The region is also extremely susceptible to natural disasters, and Malaysia was on the receiving end of this last year with the worst flooding in decades affecting hundreds of thousands of people. Malaysia also continues to use its ASEAN chairmanship year to strengthen regional cooperation against the Islamic state threat, which it has been busy countering at home including during the run-up to the summit itself. As I have written earlier, Malaysia was already set to convene a Special ASEAN Ministerial Meeting on Radicalization and Extremism in October. But there were also discussions over the past few days about potentially holding an informal ministerial meeting with Brunei, Indonesia, the Philippines, Thailand, Australia and New Zealand next month as well. Some measures that some had hoped would move forward were put off until future meetings. One of these was the proposal for a common ASEAN time zone. ASEAN currently has four different time zones, and the idea would be to get other ASEAN members to adjust their time to a single agreed one, most likely the current time zone in Brunei, Malaysia, the Philippines and Singapore, which is GMT + 8 and similar to the one in China. The alignment would facilitate business dealings and would help forge a more cohesive ASEAN Community expected by the end of 2015. The idea was originally proposed by Singapore back in 1995, but differences still remain within the grouping on the matter. Other ideas were also floated that were significant. According to Malaysian foreign minister Anifah Aman, several proposals in the form of “non-papers” were discussed. Among these was an idea to streamline ASEAN meetings – including reducing the number of ASEAN summits from two to just one per year – which is reportedly still under discussion. Another was on strengthening the East Asia Summit (EAS), which I touched on briefly here. This year is the 10th anniversary of the EAS, and several countries have been suggesting ways to make it a more effective institution, which they hope will take place under Malaysia’s chairmanship. As expected, the South China Sea question received significant attention but saw little progress. The media did release parts of a draft ASEAN statement where the group did share concerns expressed by some states on China’s extensive land reclamation activities in the South China Sea, which it said threatened peace, security and stability. And Najib also repeated the call for an “expeditious resolution” of a code of conduct while stressing that ASEAN would engage China in a “constructive way. But beyond these steps, little progress looks likely at this stage, which is not surprising considering ASEAN’s lowest common denominator position on the issue, China’s continued stonewalling on a code of conduct, and the balance Malaysia tends to strike in its own policy, all of which I have addressed before in separate pieces (see here, here and here). What Did the 10th East Asia Summit in Malaysia Achieve? A look at some of the meeting’s key outcomes.